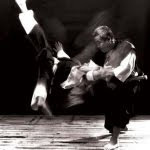 This Thursday, we'll be holding a special beginners' class at City Kempo Club (Old Street venue). New beginners are always welcome to join us at any point in the year, but in the spirit of the new year, we thought we would host a special class aimed at anyone looking to try kempo for the first time (or just get back into training after a longer time away). We'll be going through all the basics and also hopefully providing a taster of the wider syllabus, so come along and find out what Shorinji kempo is all about for yourself. The session is free, so why not bring a friend along too. There will be also be plenty of our current members there to help you pick things up. All you'll need to bring is some clothing you can move comfortably in and don't mind getting sweaty (e.g. gym clothes), and a bottle of water.